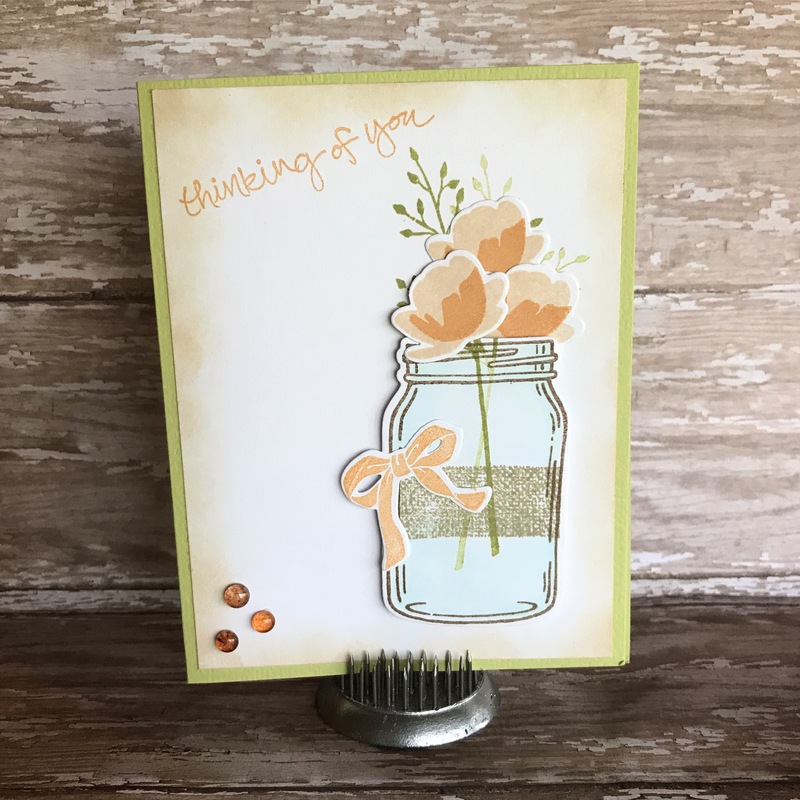 This is a great set from Stampin’ Up called Jar of Love – it’s so versatile and can be used for so many different occasions. And there is a matching die set called Everyday Jars Framelits Dies. You can see a Thank You card that I made using this set in this post from a couple of weeks ago. I made this card for my Mom for Mother’s Day. I first stamped the largest jar in the set on a white card stock panel (for the front of the card) with brown ink and stamped it a second time on another piece of white card stock. Then I die cut the second stamped jar using the framelits die. I placed the die cut image over the image on the white panel and stamped the greenery over both layers so the stems would be in the die cut jar. I inked my stamp with green ink and stamped my first image, then without re-inking the stamp, I stamped the second image. After removing the die cut jar from the panel, I stamped the burlap ribbon with light brown ink on the jar (over the green stems) and colored the jar with a light turquoise Copic marker. 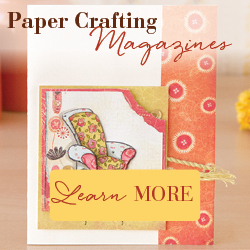 The die cut jar is attached over the stamped jar on the white panel with foam tape. I stamped the flowers with 2 shades of terra cotta ink, die cut them, and attached them to the white panel, overlapping them and using foam tape for the one in the front. The edges of the panel are lightly sponged with the darker terra cotta ink. The sentiment is stamped with the darker terra cotta ink, too. The bow is stamped with the darker terra cotta ink, die cut, and attached to the jar. I attached the panel to a green card and added 3 dew drops to the corner (enamel dots or gems would work great, too). Mother’s Day, Birthday, Thank You, Thinking of You…this set is great for so many things!